The kitchen is one of the most important spots in your home since we all spend so much time there, so it is beneficial to make it a space where you feel calm, cool, and collected. Pulling inspiration from stylish restaurants can open your eyes to unique kitchen trends you never even knew you needed. 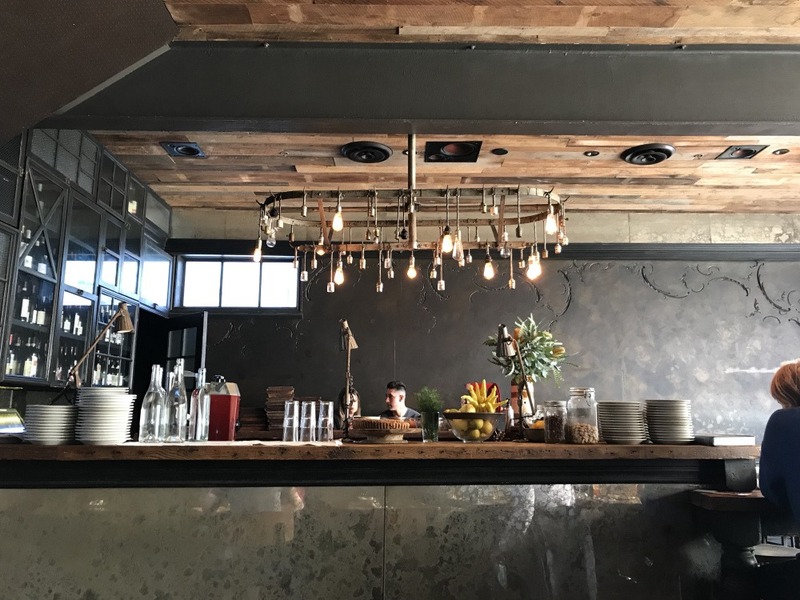 Below are a few vibey LA restaurants ranging in styles, serving as motivation and inspiration to make your dream kitchen. 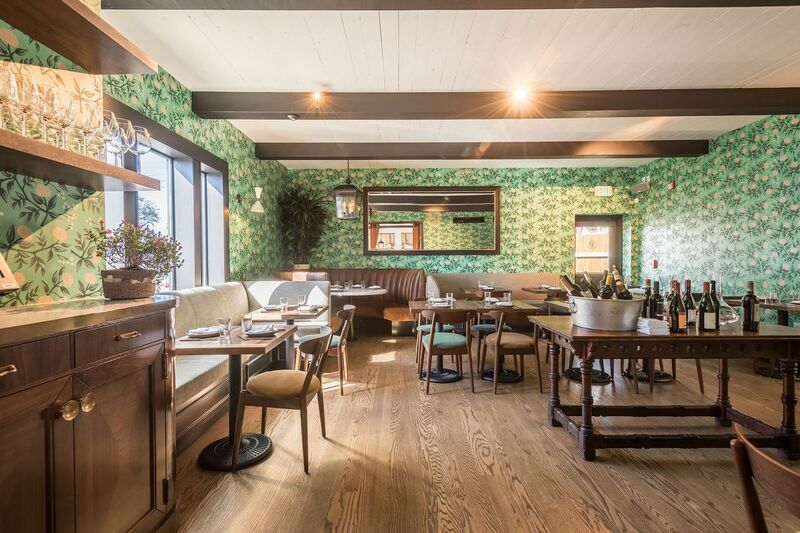 Located in the trendy West Hollywood, Gracias Madre excels at mixing textures and patterns while maintaining a necessary sense of balance once should have in a kitchen. They perfected the art of open shelving here with glass vases and bottle collections with pops of color. To try this look at home, opt for just one section to be open shelving since its not the most practical, or try it in a bar area. 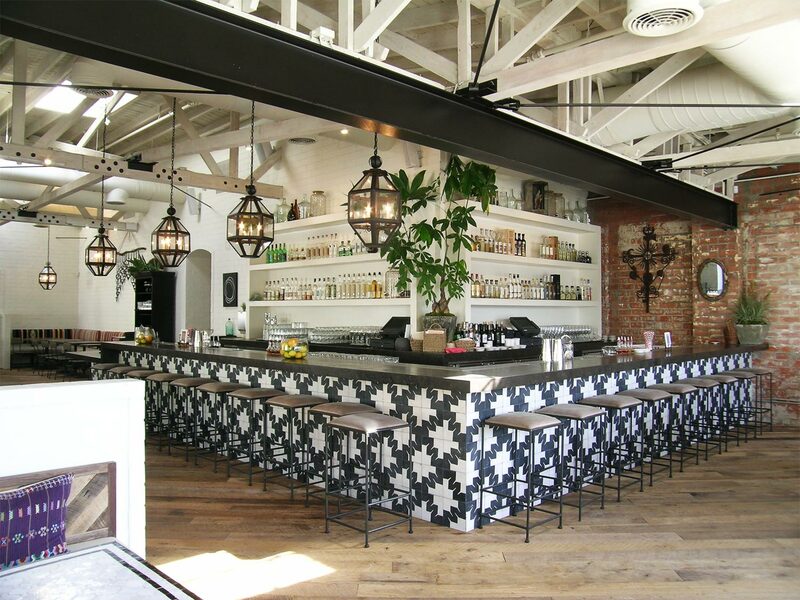 The navy and white cement tile patterned is complemented by pristine bar stools, adding a contrast to the rattan chairs used throughout the rest of the space. The pendant lights and exposed brick interior add an industrial feel but are mixed harmoniously with enough warmth throughout via art and plants. 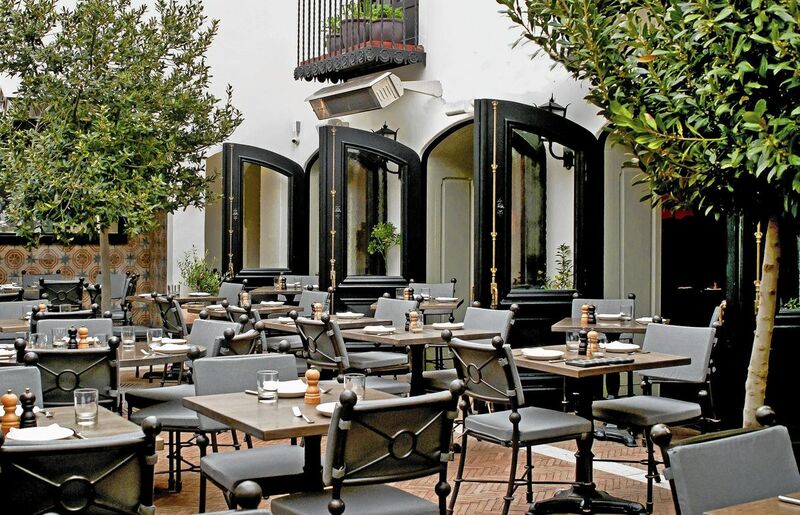 AOC is a great restaurant to look to for inspiration if you have a Mediterranean or Italianate style home. It celebrates the al fresco dining experience and can provide tons of ideas for your dining terrace. Arched French doors open up to an enchanting patio full of cozy nooks with iron furniture and walls covered in patterned terracotta tiles and creeping ivy. Gjelina is industrial interior design at its finest. 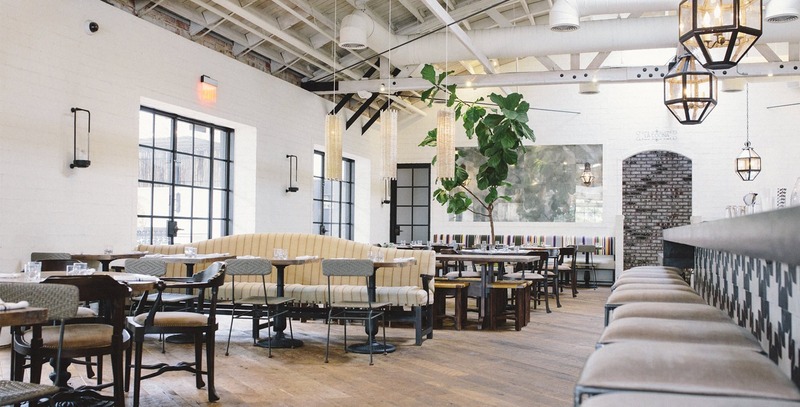 Their blend of materials is unparalleled, with mixtures of wood found in both the ceilings and tables, complemented by the brick ground and metal seating. The lighting is utilitarian chic, bringing second life to bottles and lone light bulbs abstractly displayed on metal fixtures. Dim lighting and an outdoor fire pits set a romantic ambiance for the guests. The weaving of modern and timeworn elements is brilliantly executed, resulting in a bold, memorable setting. REpublique has a strong historical atmosphere that celebrates its Spanish 1920’s architecture from when the structure was first built. All of the original exposed brick is offset with a mixture of both modern and traditional tiled floors. The pops of blue and green deliver vibrant touches, breaking up the industrial aspects found in the wooden furnishings and vintage bare bulb pendant lights hanging from above. Charming from start to finish, Felix incorporates modern elements with a nod to European influences. On one side of the restaurant, the vivid turquoise wallpaper adorned with a feminine, floral design is accented by the exposed wood found on both the ceiling and flooring. Modernist Italian light fixtures are a nod to the Italian food being served up in the glass walled open kitchen where guests can enjoy watching pasta being handmade.